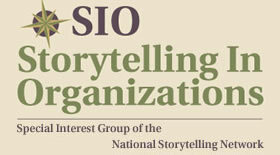 Right now, the section on challenges in organizational storytelling is empty. We have not been able to find much information on this important subject. Maybe it’s too soon for this type of information to start appearing. It will probably emerge on listserves and bulletin boards. When you find something, please send it along.